Palm, M.M, & Merks, R.M.H. (2015). 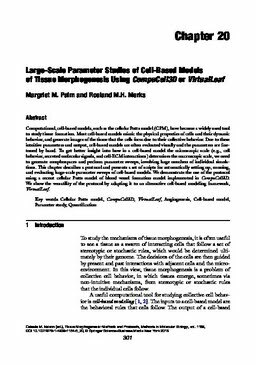 Large-scale parameter studeis of cell-based models of tissue morphogenesis using CompuCell3D or VirtualLeaf. Methods in Molecular Biology, 1189, 301–322.